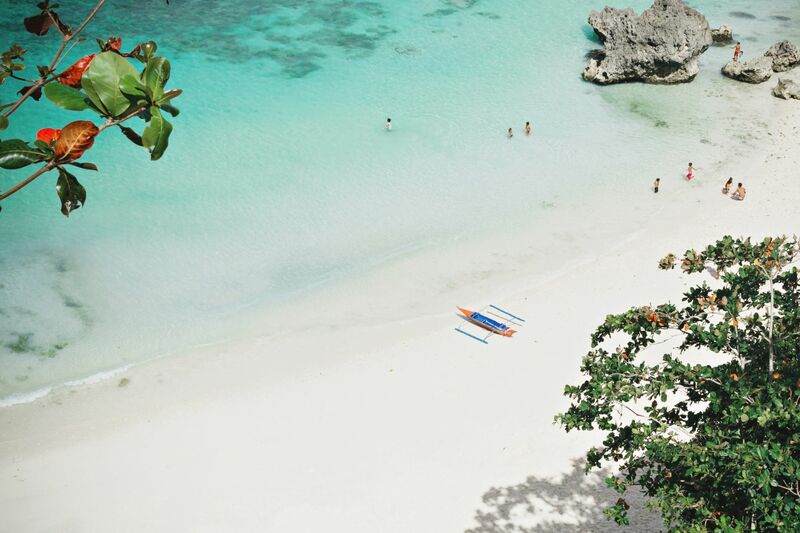 Are you excited to re-visit Boracay? Set to open on October 26, 2018, the island offers a newly-reformed destination, with new regulations in tow. Scroll through to find out what you can expect when you step onto the new Boracay. When President Rodrigo Duterte decided to close Boracay last April 26, travellers, business-owners, and locals alike were shocked, to say the least. The vacation haven has been one of the Philippines' most visited beaches, home to what once was a pristine shorefront and biodiverse ocean, the sudden foreclosure forbid non-residents to step on the island until the rehabilitation was over. Businesses (including dining establishments, touring agencies, lodging, and hotels) were required to close down unless they comply with the government's new requirements. The constant and under-regulated gentrification of the tourist destination transformed the idyllic island into a semi-urbanised party paradise, forgoing the growing pollution and lack of waste management. As early as February of this year, President Duterte already commented on the state of Boracay, calling it a "cesspool" -- soon after the historic decision was implemented. It is said that 50% to 60% of establishments in Boracay did not comply with the Clean Water Act, which means most of their pipes lead to canals that drain directly to the sea. After the declaration, several government agencies, including the Department of Environment and Natural Resources (DENR), Department of Tourism (DOT), and local authorities have begun rehabilitating the island and beachfront. Establishments were given a deadline to comply to regulations and after 6 months, Boracay is now set to open on October 26, 2018 (Friday). Officially, Boracay will be on tourism soft-opening as roads and the Boracay port will still have a long way to go before it is fully restored/ refurbished. The town will be operating in a strictly-monitored capacity, with partying now highly discouraged. It is said that the famed "LaBoracay" weekend (an annual party excursion during Labor Day) will no longer be allowed. Drinking and smoking on the beach is also prohibited, in the hopes of limiting the unecessary waste that end up washed up by the shore, or worse, consumed by sea animals. Water activities will also be temporarily halted and casinos, officially banned. In an official statement by the DENR, they will be assigning pollution officers (deputised as "Boracay Marshals"), who will be "on the lookout for litterers and shall remind the public to dispose of the trash properly." DENR Secretary Roy Cimatu noted that "under Republic Act 9003 or the Ecological Solid Waste Management Act of 2000, establishments are required to designate a pollution control officer who shall ensure compliance with the law, among others." So, if you will be staying at one of the 150 establishments granted the A-ok to re-open, be sure to expect a stricter pollution policy and be more mindful of how you dispose of your waste. It might be best to stay away from single-use items like bottled water or plastic cups. With regards to the current state of Boracay, Department of Tourism Scretary Berna Romulo Puyat notes, "The beachfront is pristine and the water is clean and clear. We want this to be our pilot for sustainable tourism. We hope all our efforts inspire everyone else -- the shareholders, local neighborhood to follow strict environmental laws. While I was down there talking to the locals, they were so happy and excited. According to them, this is how Boracay was 30 years ago. This is our chance to show the world we can do it. We have set a strong political will to achieve this environmental rehabilitation; that together, we can make a good change and be an example to others. Let us emphasise the importance of environmental integrity, for the health of our tourists, and our nation's future." Are you excited to revisit Boracay as it opens on Friday? Will the local government be able to maintain and continue to rehabilitate the beautiful island? Time will tell. For now, we're feeling hopeful. Let's keep our fingers crossed! Cover photo by Hector Periquin, courtesy of Unsplash.com. Berna Romulo-Puyat Secretary of Tourism, Republic of the Philippines As the Tourism Secretary, she has made it her mission to promote the best of what the Philippines has to offer and this mother of two is a staunch supporter of slow food and of local fashion, which she wears as often as she can.